A passion or a problem, it all depends on who you ask. 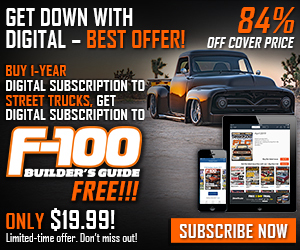 The perks of being an editor for a national truck magazine has quite a few amazing benefits that come along with the job, especially if you’re as diehard of a truck enthusiast as I am. Sure we get to travel around the country to check out the latest builds and biggest events in the industry, but when we get a chance to spend an afternoon chatting with an equally enthusiastic C-10 supporter about his love for the bowtie brand, we realize just how lucky we are to be in this prestigious position. 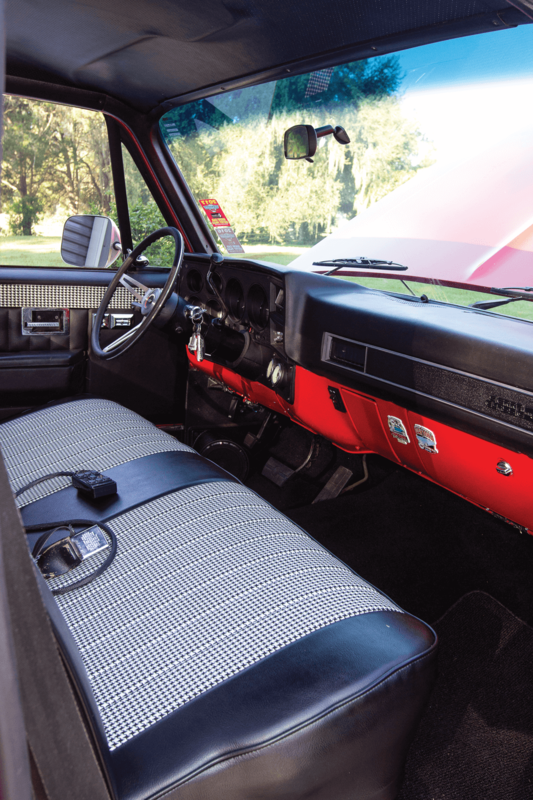 INSIDE THE CABIN HAS A NICE, CLEAN, CLASSIC LOOK ALONG WITH THE CONTROLS FOR THE AIR RIDE SUSPENSION FROM AVS. 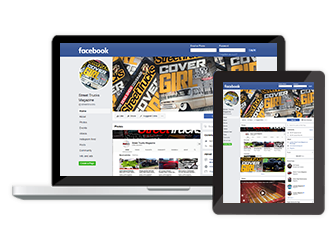 Creating lifelong relationships with cool custom truck cruisers like Joe Egizio from Ocala, Florida, has made the past few years in the truck industry some of the most beneficial to us personally. Luckily for both Joe and I, we have wives who are cool with the truck game and they show their support any way they can. 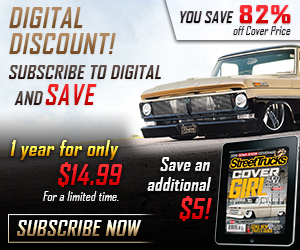 I mean, would your wife be cool with having four garage-kept squarebodies, a drivable classic Surburban, a project ‘68 Camaro and a daily-driven Silverado in your personal collection? Probably not, but if she would we salute her! 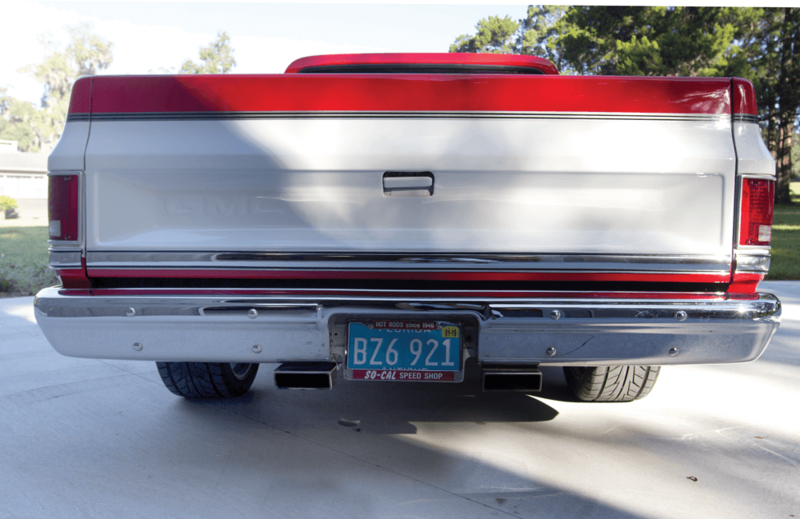 There is no doubt that Joe’s love for GM bodies is comparable to some of the greats in our industry. Like most of us, his passion started at a young age with no knowledge and no formal training, just a willingness to learn and a desire to lend a helping hand. On weekends and after school, Joe did like most other average Joes do: homework, housework and helping pops crank on the cars in the garage. 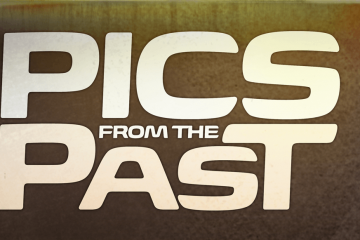 With original intentions of earning some extra income, flipping used cars eventually paved the way for his love affair with classic Chevy trucks. 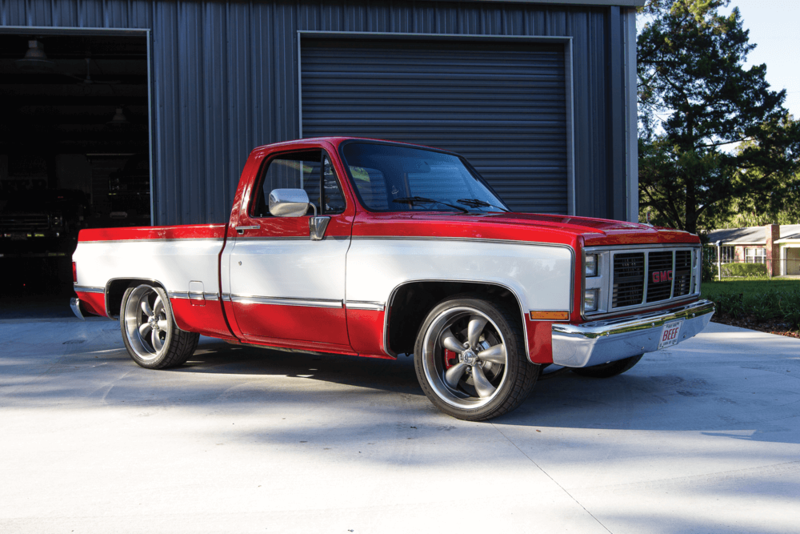 Standard-cab, short-bed, squarebody Chevy C-10s are Joe’s preferred truck of choice, but this particular red and white ‘86 GMC Sierra stood out from the rest in his personal pack of pickups. Clean lines and a killer stance are the keys to our bowtie blood pumping heart, and this casual cruiser has it all. Starting with the chassis, Joe showed us the Porterbuilt front and rear frame sections that allow the truck to lay flat on its bones when fully deflated. 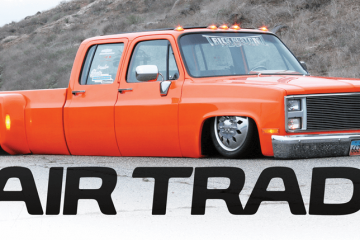 Air ride suspension from AVS along with Viair’s 100 percent duty cycle compressors keep the system prepared for ride height and smooth suspension upon request. 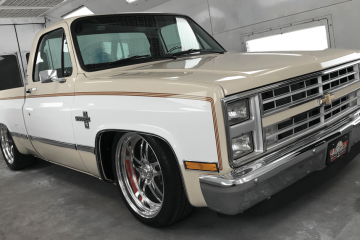 As most of you know, laying these trucks out takes quite a bit of effort to clear big wheels in the front end, so a set of Slosh Tubs inner fender wells were installed along with a smoothed-out firewall, which made for a super clean engine bay. With all that work complete, it would be a shame to reinstall the factory engine due to the lack of power. 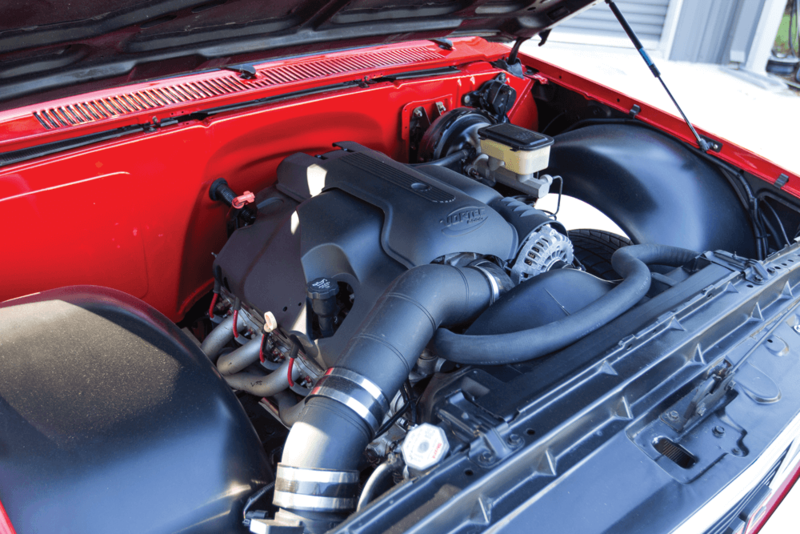 For this particular squarebody, a Chevy LS 6-liter Vortech V-8 engine was the powerplant of choice, and some additional pony adders such as intake, exhaust and a mild cam gave it the dependable power they were looking for. THE 6-LITER CHEVY ENGINE FITS NICELY INSIDE THE SQUAREBODY ENGINE BAY ALONG WITH SLOSH TUBS INNER FENDER WELLS AND A SMOOTH FIREWALL. 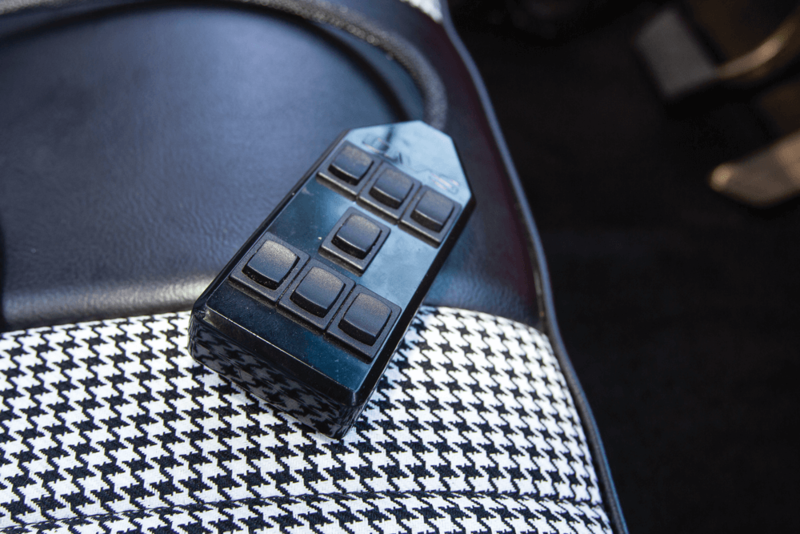 The energy is transferred to the drivetrain using a Performabuilt 4L60e transmission with a 3600 stall converter and then sent back to the 3:73 gear ratio in the rear axle. 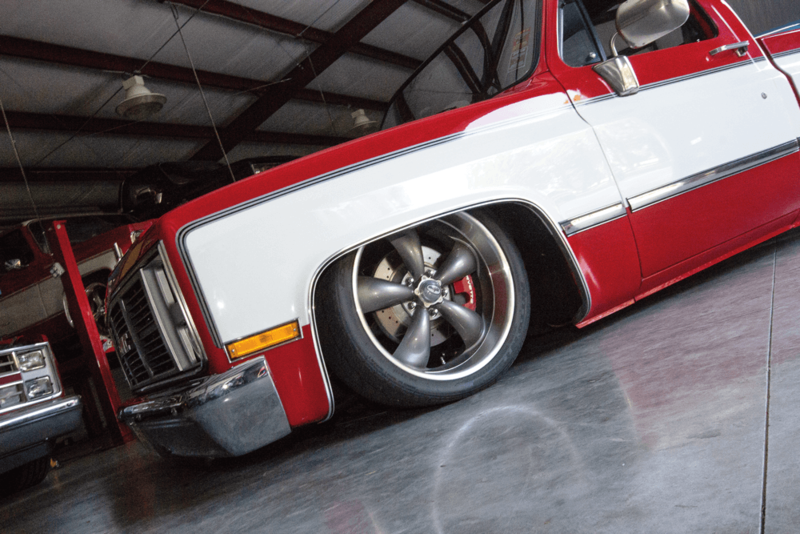 Joe chose 22-inch Coys Wheels for the rear while a set of 20-inch rollers were bolted up front. His tire of choice is a Nitto Extreme ZR in staggered fit sizes. This combination of quality products and raw horsepower can easily make anybody an addict, so we understand Joe’s constant desire for more. The body of this square Chevy has received just as much focus and attention as the undercarriage and engine. Luckily there were only some minor issues with the factory finish that needed to be addressed. Once the body work was complete and the Sherwin-Williams basecoat/clearcoat paint was sprayed, it was clear that this build went from good to great in a matter of a few hours. 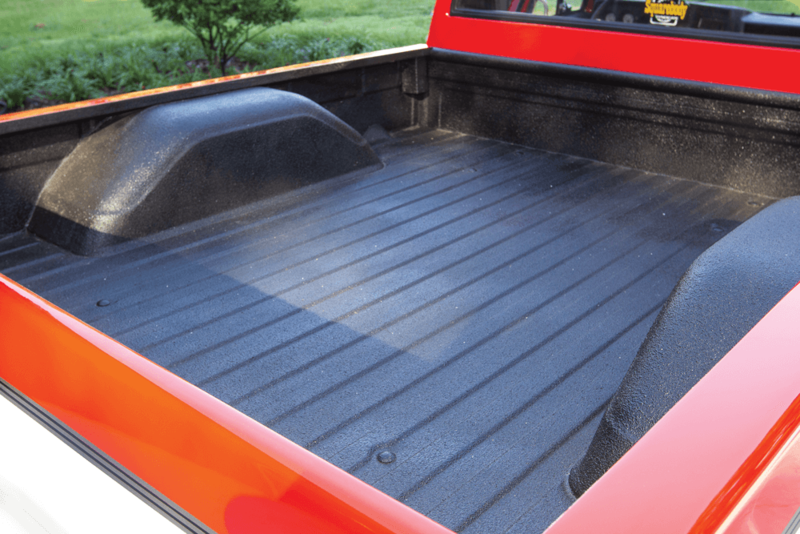 AFTER NOTCHING THE FRAME TO CLEAR THE 22-INCH WHEELS, THE BED FLOOR WAS RAISED UP AND RE-WELDED FOR A NICE, SMOOTH, FINISHED LOOK THAT IS ALSO USABLE SPACE FOR HAULING STUFF TO SHOWS LIKE, COOLERS FULL OF ICE COLD BEER. 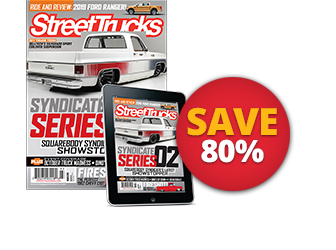 Now that Joe has a slick-looking squarebody to cruise around on the weekends, he can focus his attention on a few of the other projects in his garage of goodies. 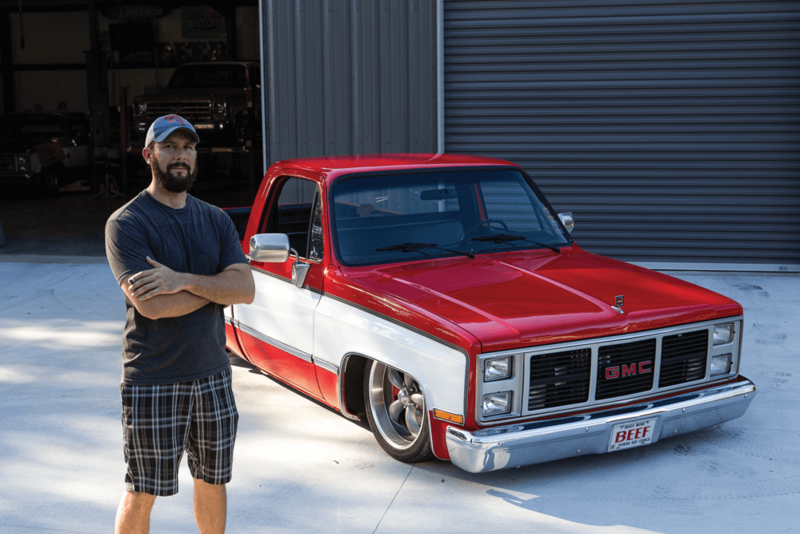 Although as with most enthusiasts in our industry, the details are never done and Joe still has a few to do to this GMC before he feels it’s perfect. First on the list is going to be a Vintage Air AC system, because cruising to an event on a hot Florida summer afternoon gets hot real quick. Until then you can see Joe at truck shows all across the state and he loves talking trucks just as much as we do. 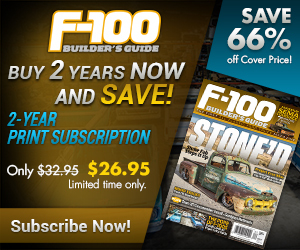 Stop by, say hi and let’s all enjoy our healthy horsepower addiction together! 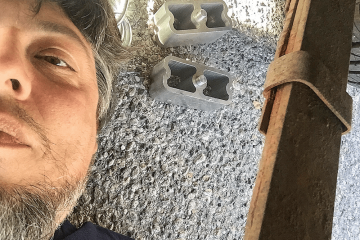 Previous ArticleThe First Performance Coils for the 3.5L Twin-Turbo Ford EcoBoost!